Baby vrienden. 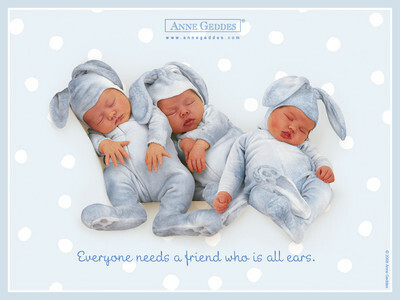 Babies in bunny costumes.. Wallpaper and background images in the Sweety Babies club tagged: babies anne geddes friends quote bunny suit. This Sweety Babies photo might contain neonate, newborn, newborn infant, and newborn baby. What a lovely Bunnies ! The first of you who wake up this bunnies, must be the nanny ! Vic, you loose, you must be the nanny if they wake up !